I’m so glad you found your way to our website! 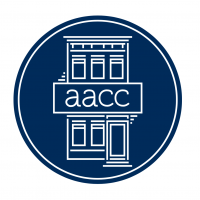 Established in 1981, the Asian American Cultural Center (AACC) exists as a result of Asian American student-led efforts to rally for a space on campus and thus remains today as a symbol of resistance, activism, visibility, and institutional recognition when Asian American invisibility was being fought. Here at the Center we are committed to honoring and increasing awareness around the vibrant and complex cultures, histories and experiences that exist within the Asian and Asian American community at Yale. The Center sponsors approximately 50 affiliate groups for students—both undergraduate and graduate—plus dozens of campus-wide events throughout the academic year so I’m hopeful that you will find something that is of interest to you. We invite all students, staff, faculty, and community members to join us in celebrating the successes and grappling with the issues that impact the experiences of the Asian and Asian American community at Yale, nationally and globally. I look forward to meeting you at the AACC or somewhere on campus soon! that addresses this issue to apply. Keep up with Asian American life at Yale and subscribe to our newsletter!